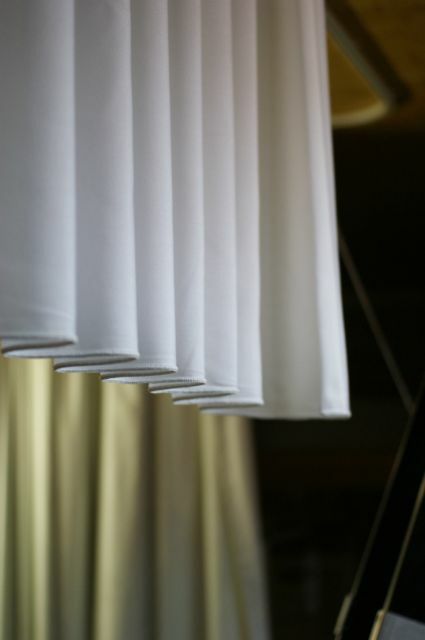 Operating curtains by remote control offers many advantages. 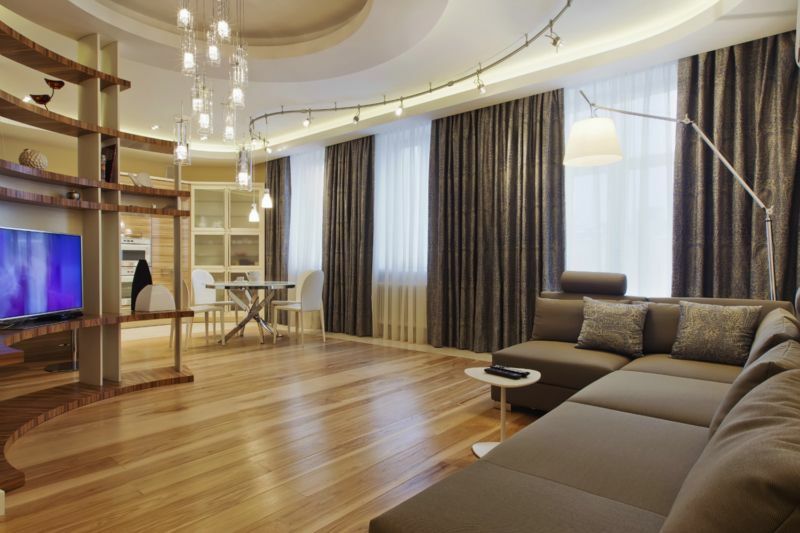 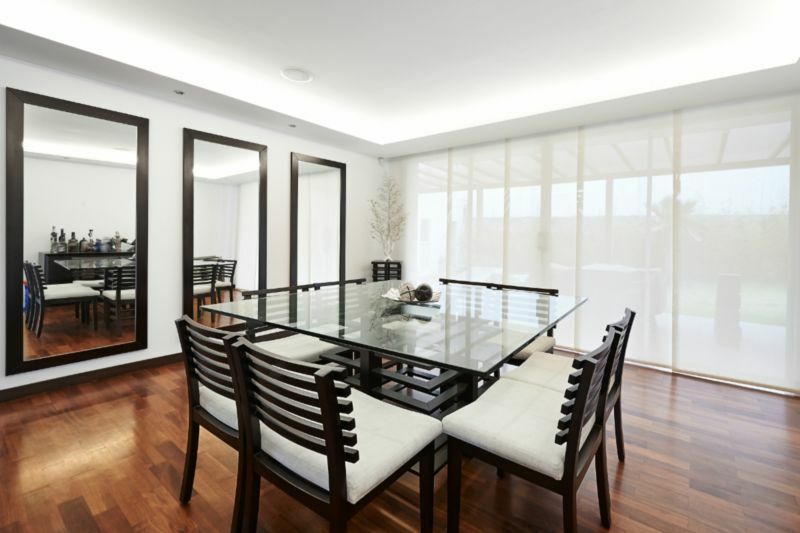 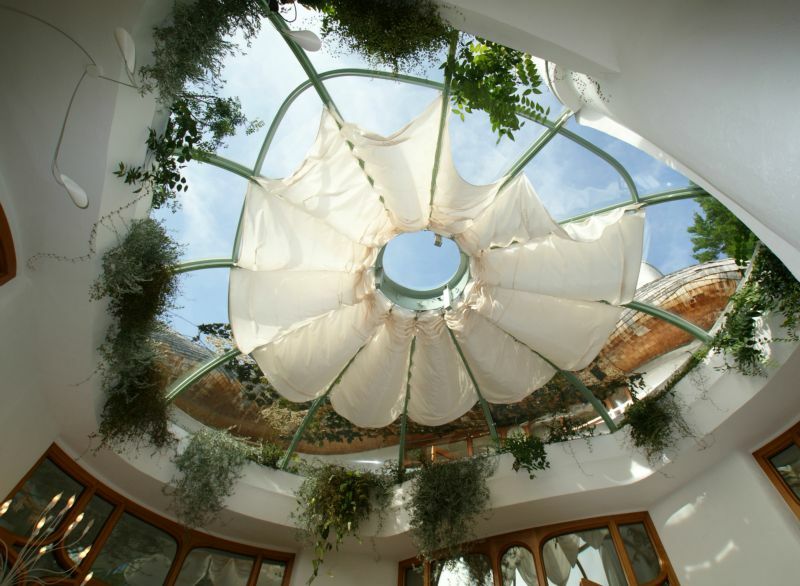 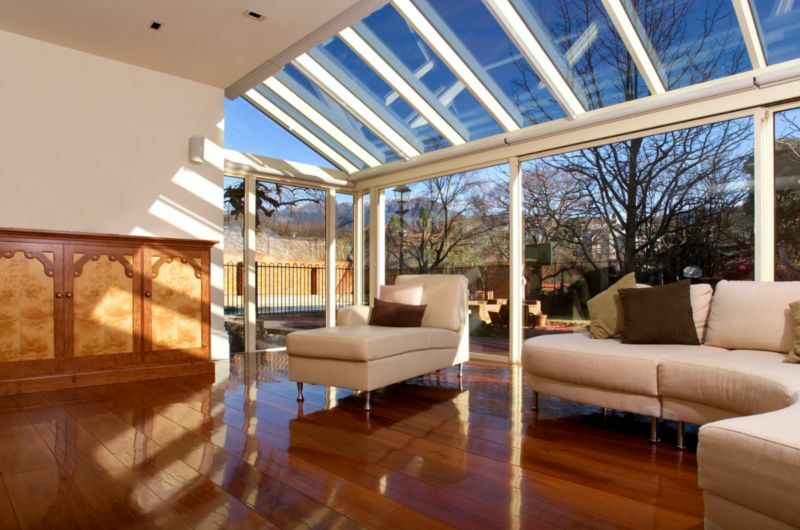 Window coverings that are difficult to reach, placed high up or in a skylight, can easily be managed. 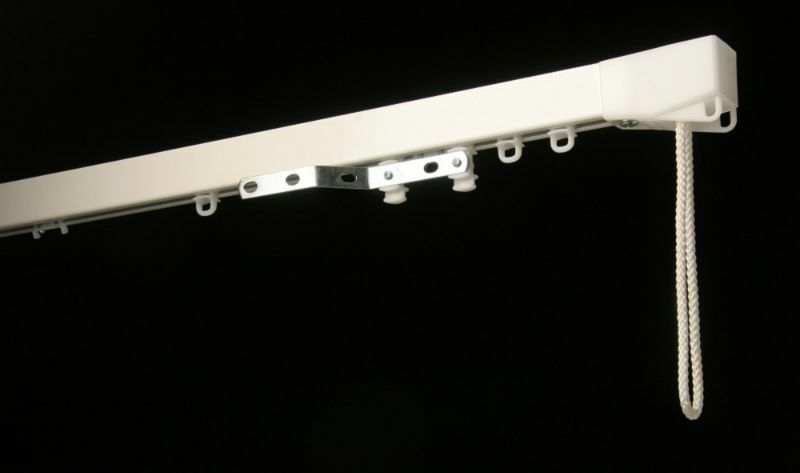 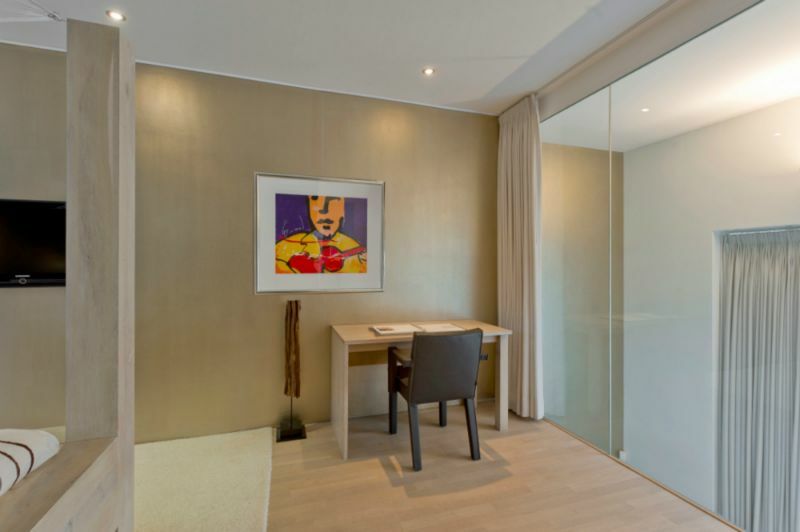 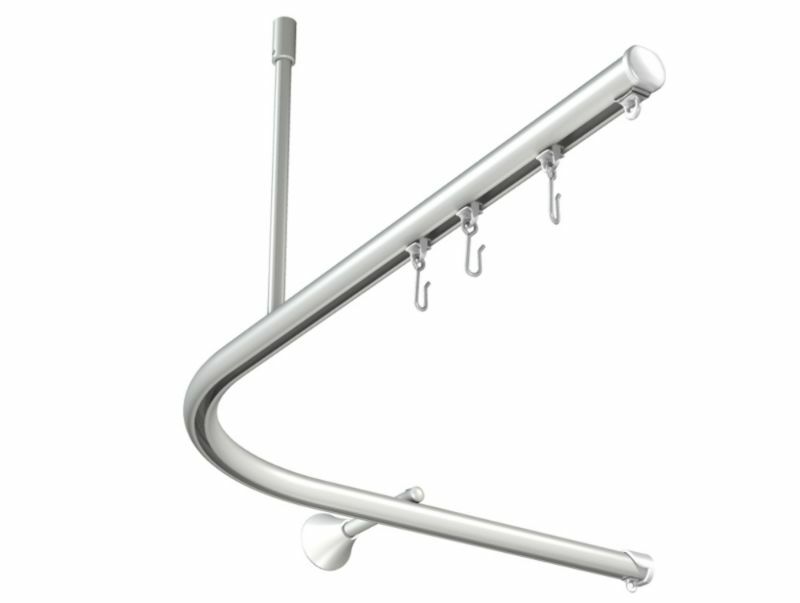 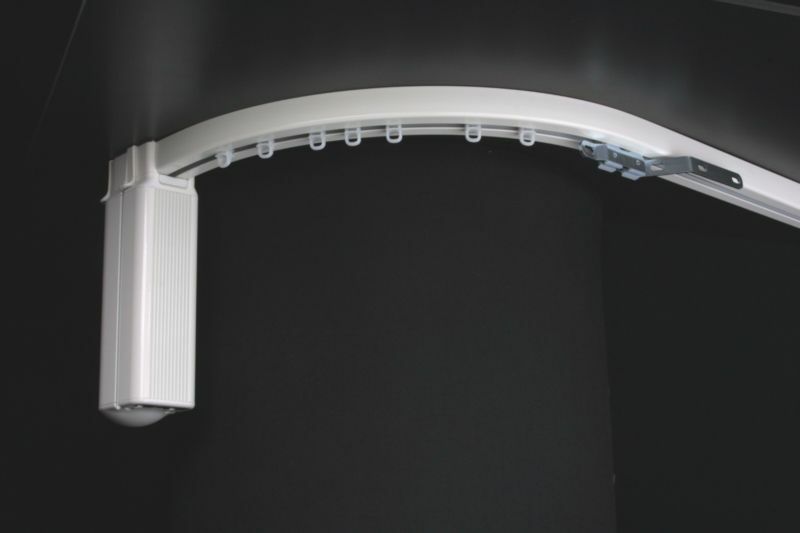 Moreover, Motorized curtain tracks are an essential and practical solution for people that are less mobile. 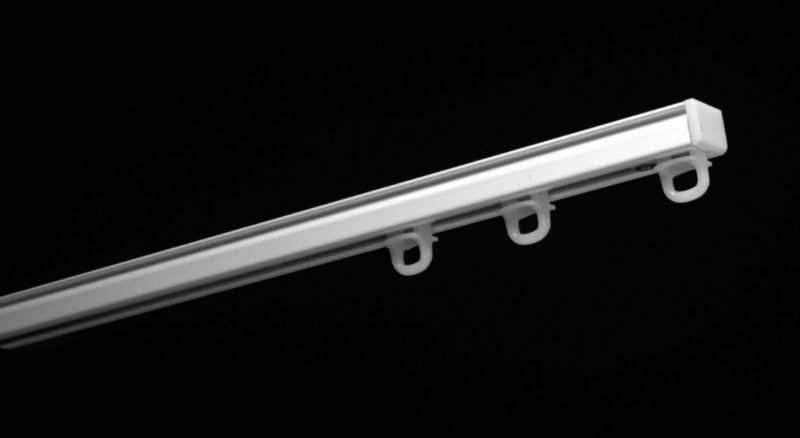 And lastly, motorized curtain tracks can continue operation during absence, simulating occupancy. 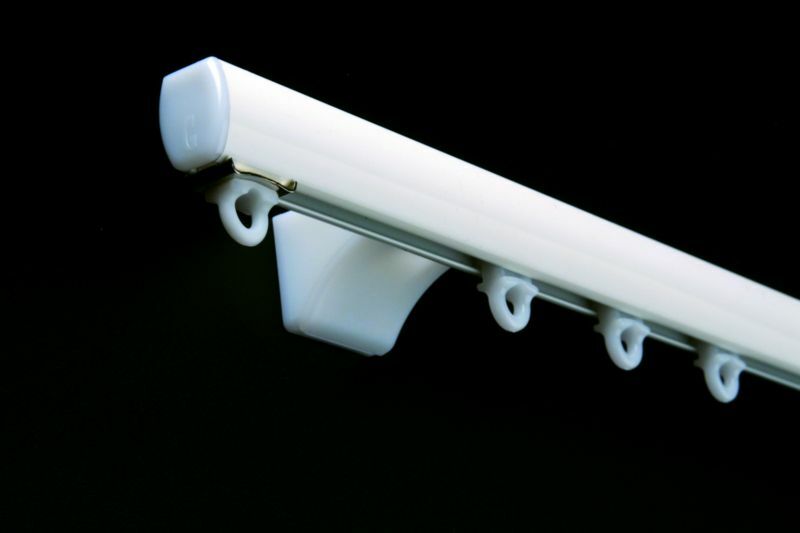 A comforting addition to your security measures. 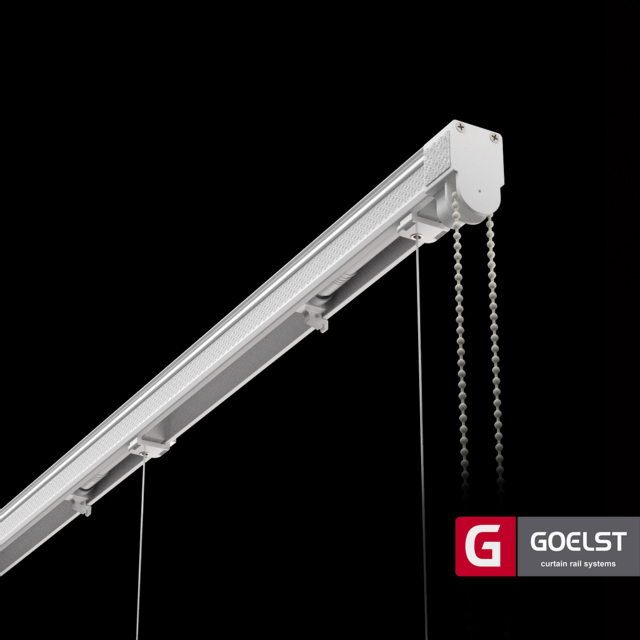 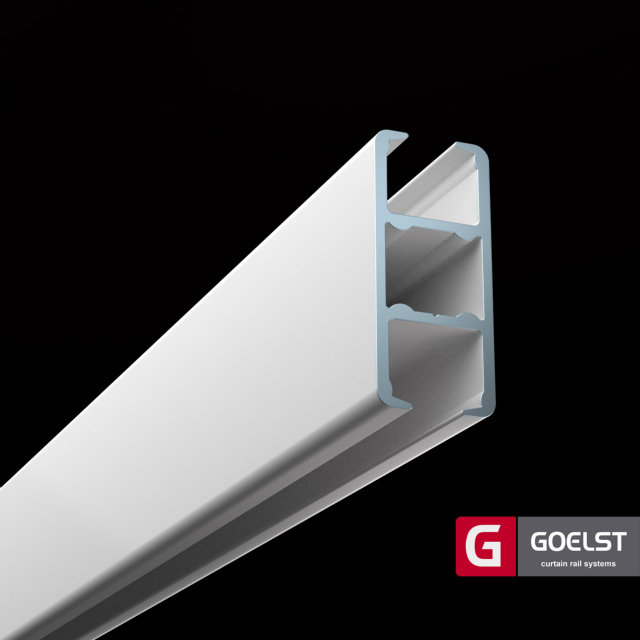 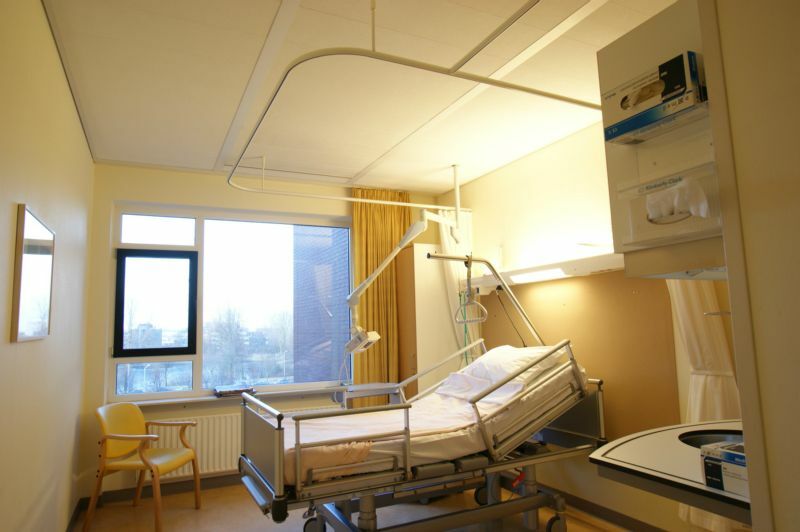 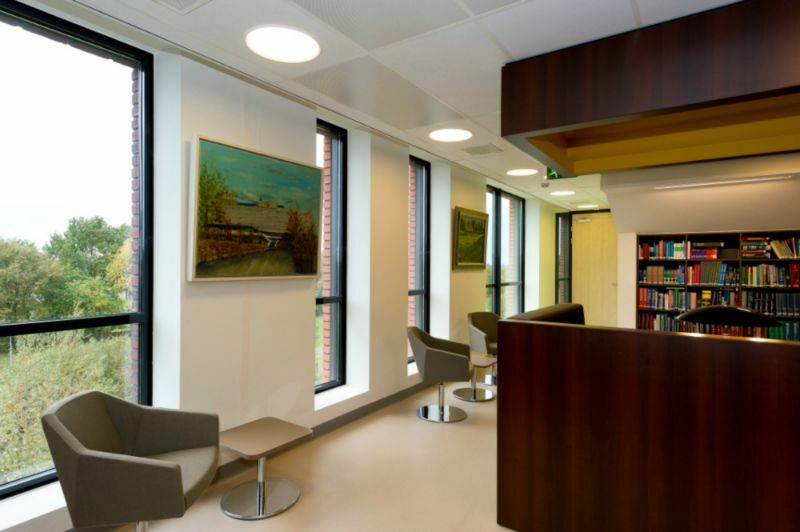 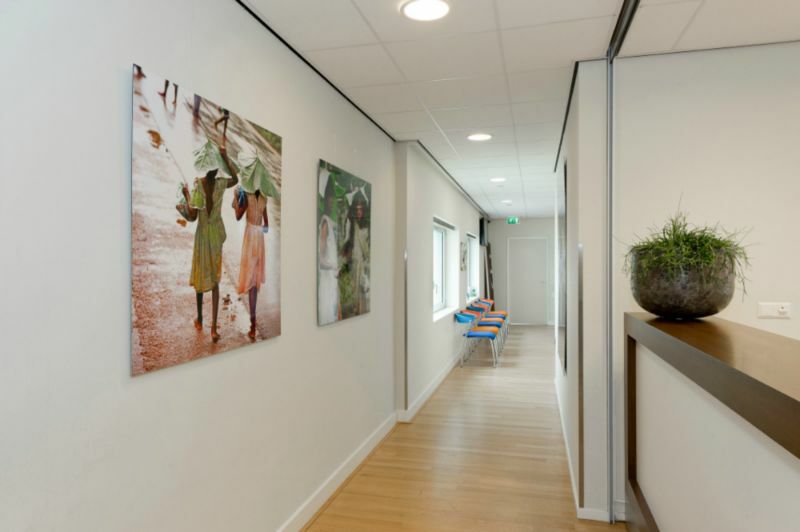 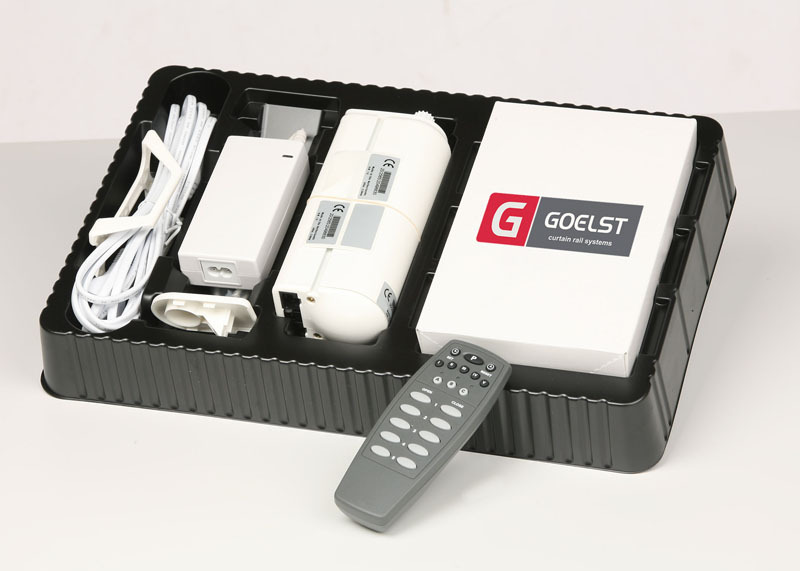 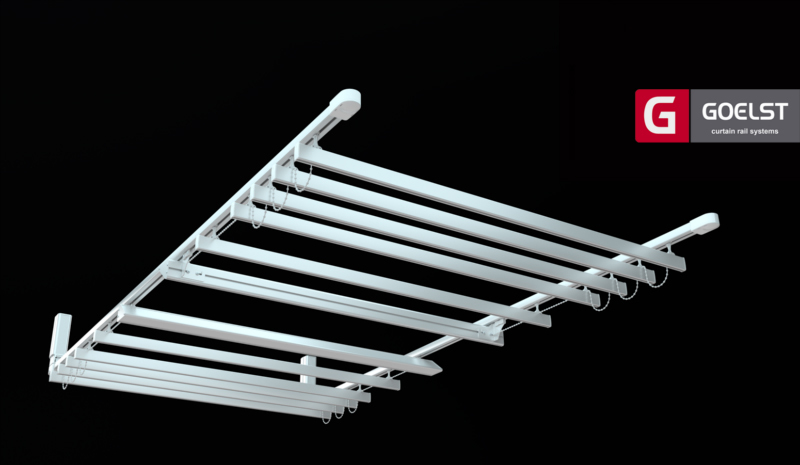 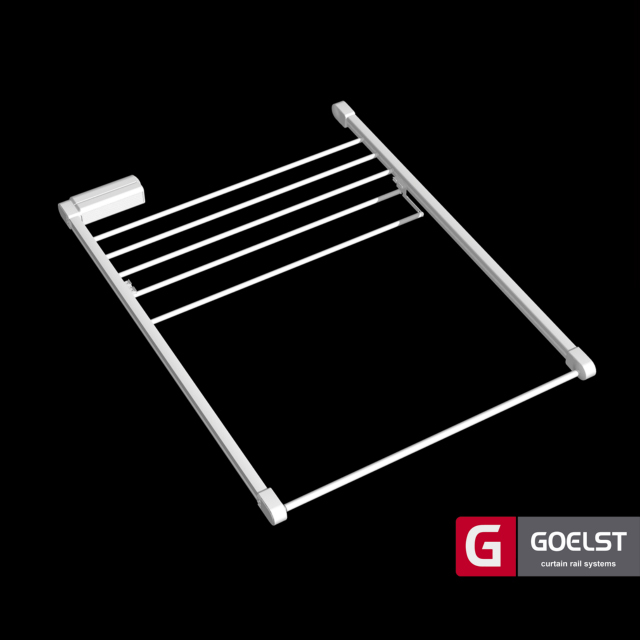 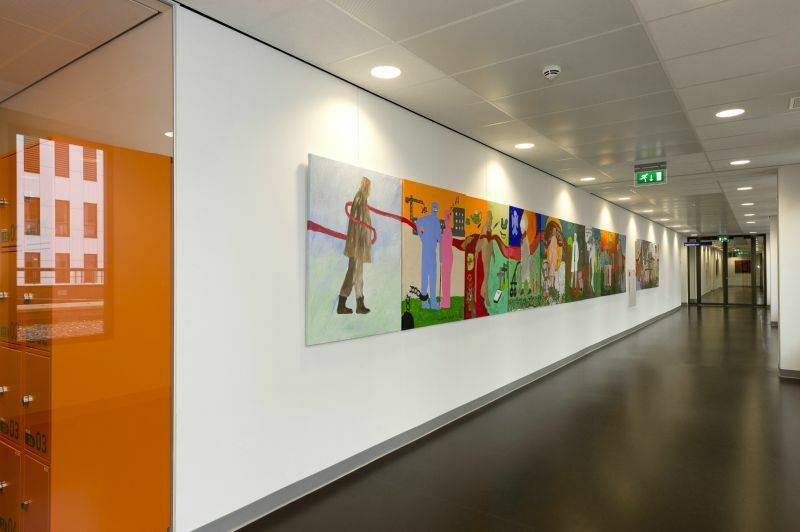 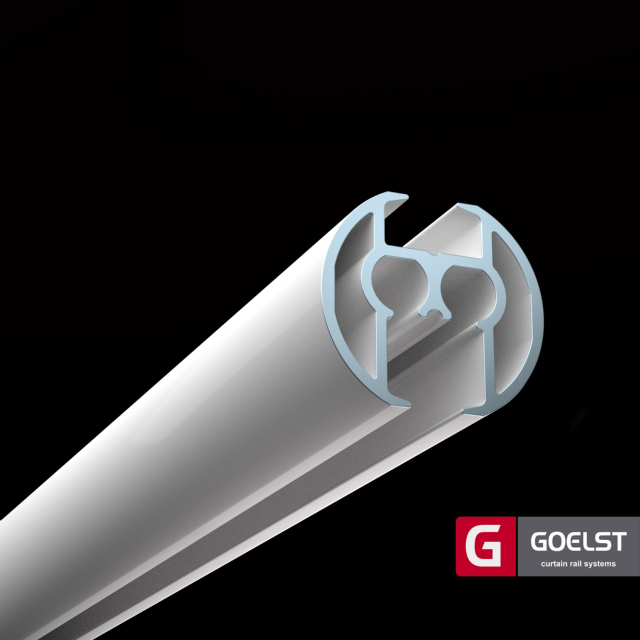 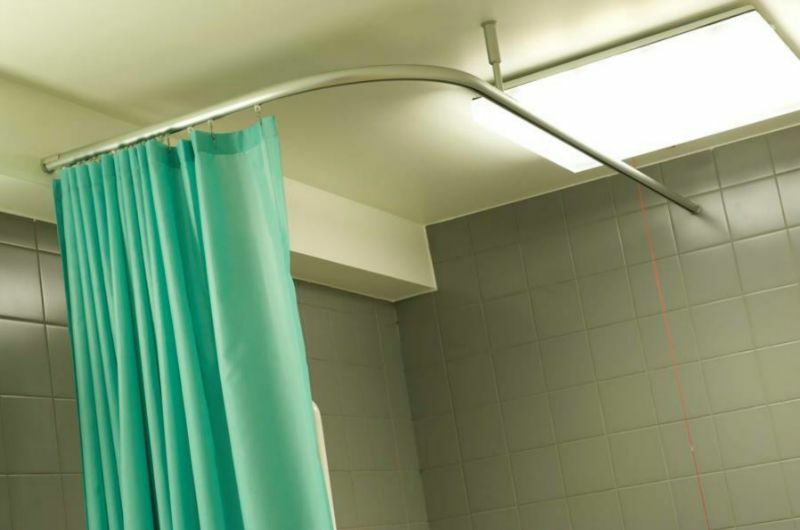 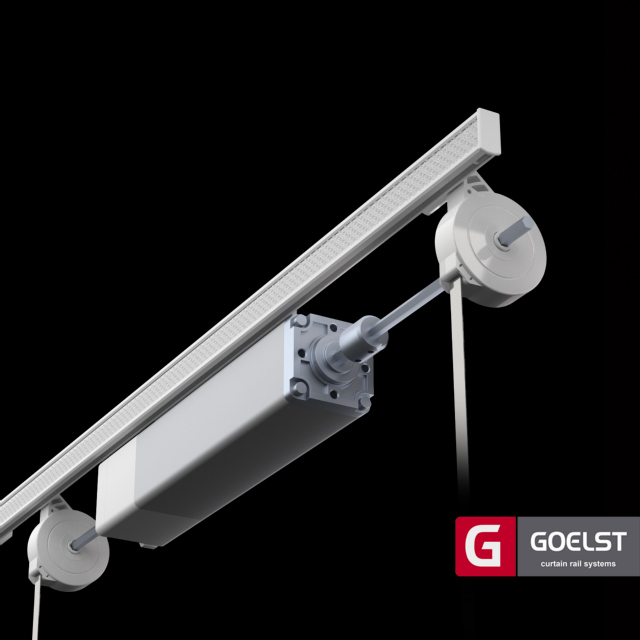 The Goelst Hospital curtain track systems are specifically designed for the health care sector and have been the industry standard for years. 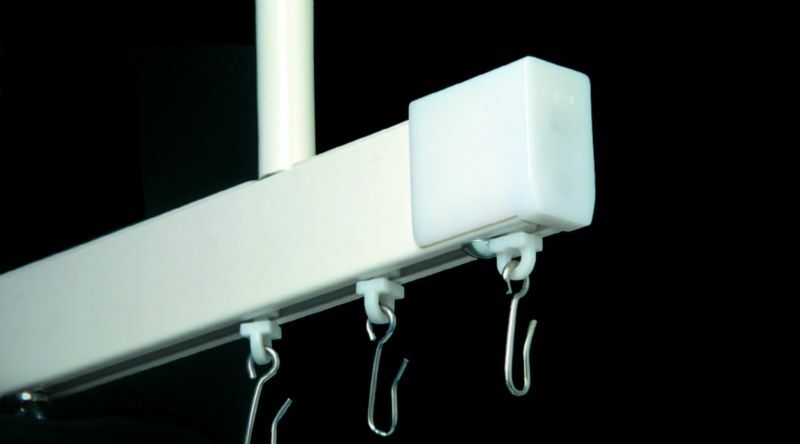 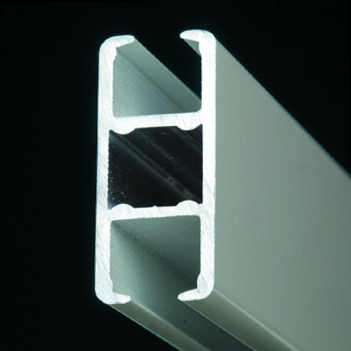 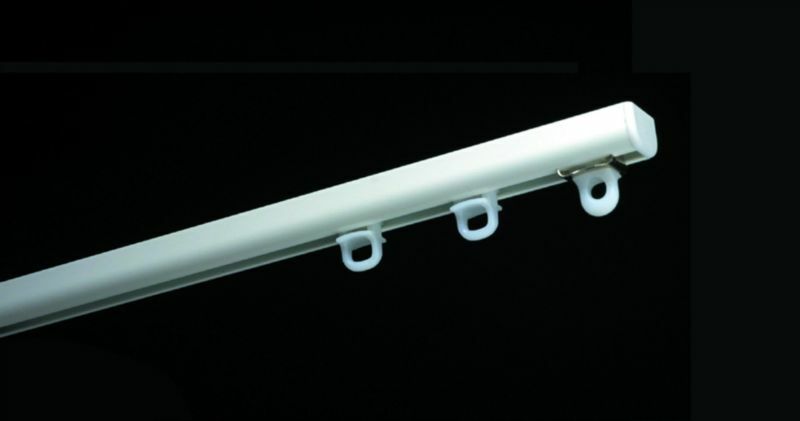 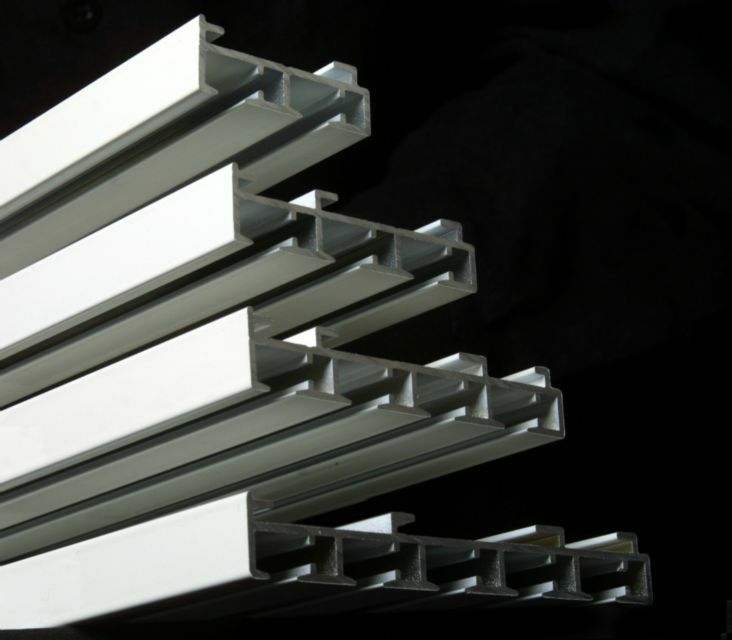 The rail is typically used for bed separation in hospitals and other health institutions, but could also be applied as industrial separation in businesses or even in homes. 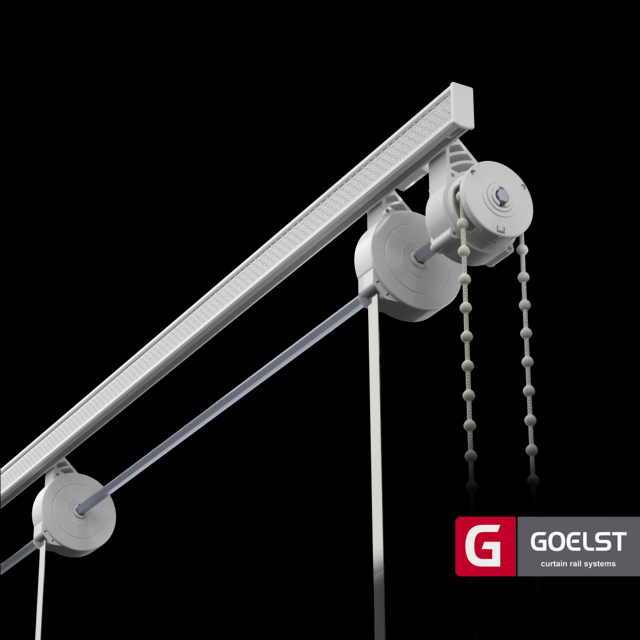 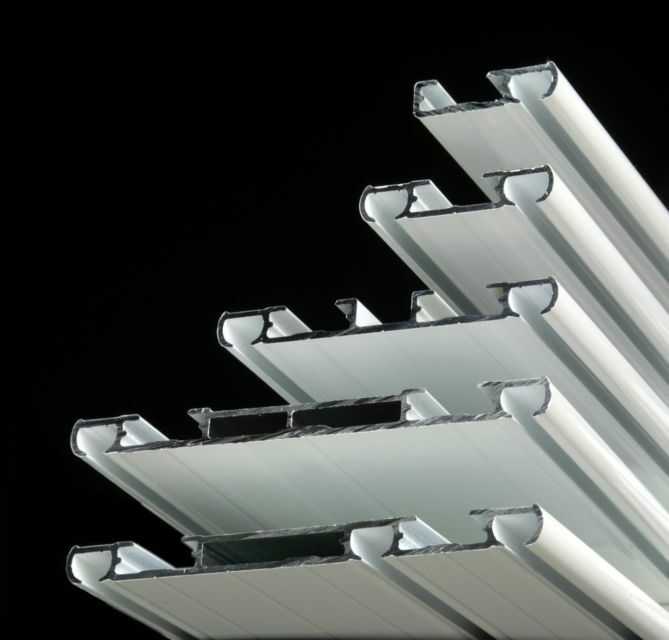 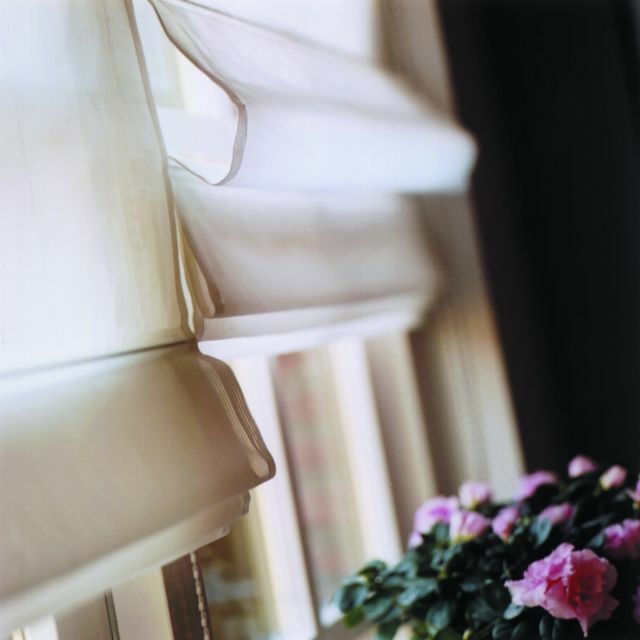 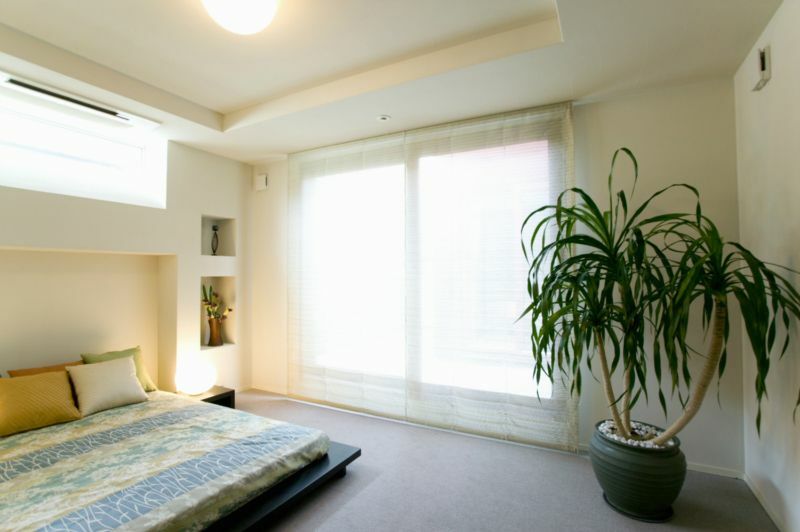 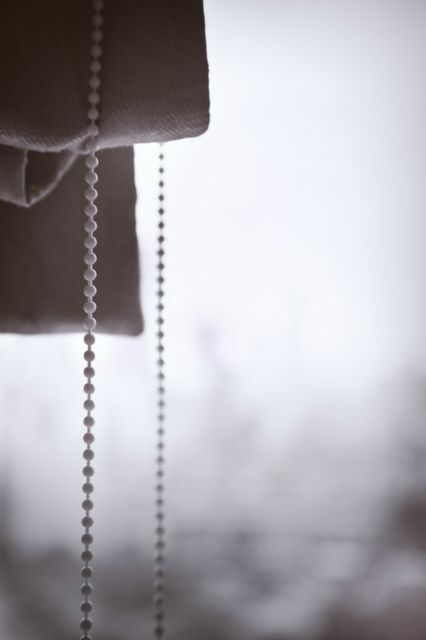 Goelst roman blinds systems are suitable for all kinds of fabrics and can be operated by cord, by chain or electrically. 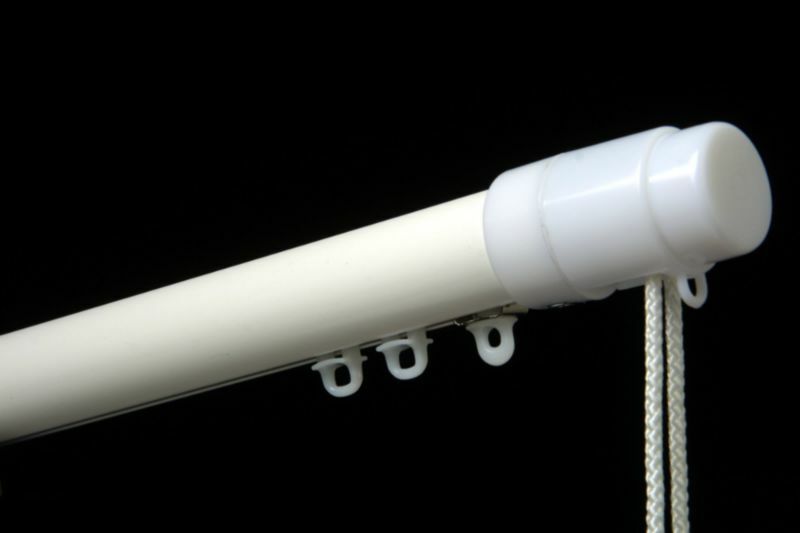 The blinds can be locked at any desired height. 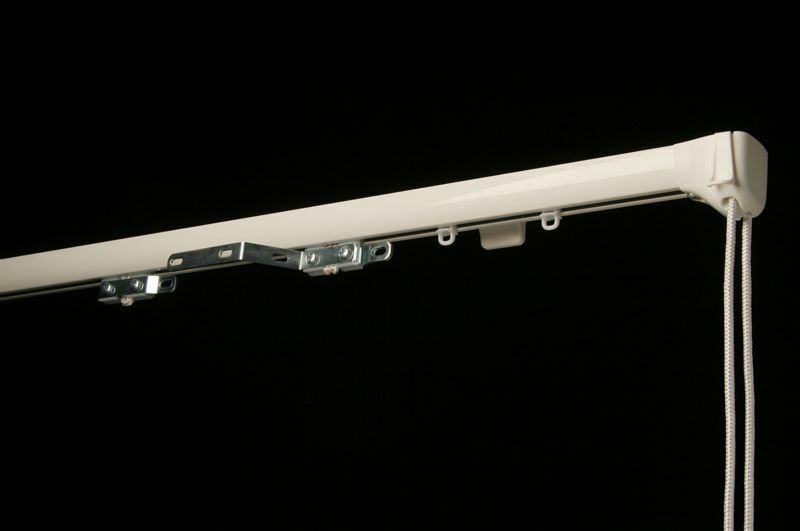 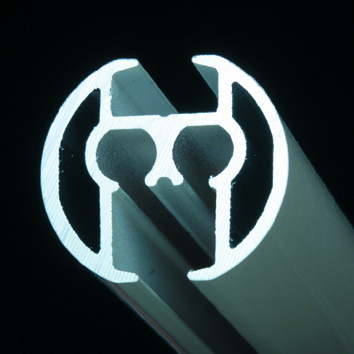 A semi-automatic function is optional: the blind then lowers automatically after a single short pulling motion.